It has become a yearly privilege of DelftProject to organize the welcoming of new international students in Delft. We want to support you, being (far) away from home, by connecting during our Inter Cultural Evenings (ICE), providing 200 students with an Eat & Meet diner at a host family and the ICF Welcoming Service in the famous New Church at the market square. 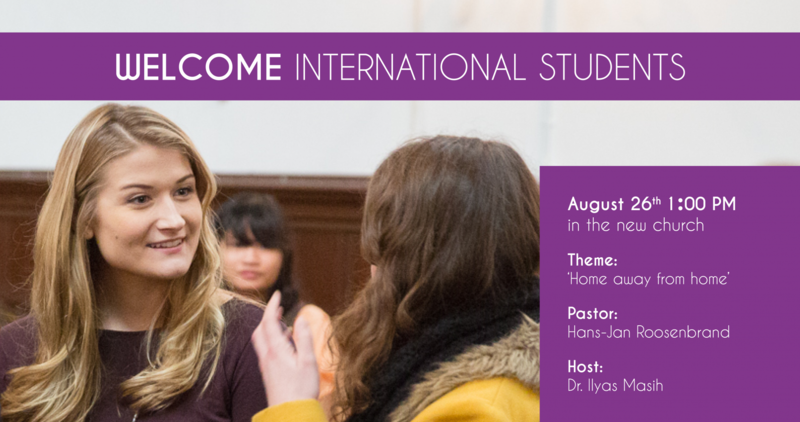 ICF is an international Christian community with students, expats, and (young) families, welcoming all new students in Delft during the New Church service of August 26th @ 13:00 hrs. Join us in this famous church, to learn more about Delft and how Christian internationals, living in this city, following the scripture of Mark, have a Home, away from home.